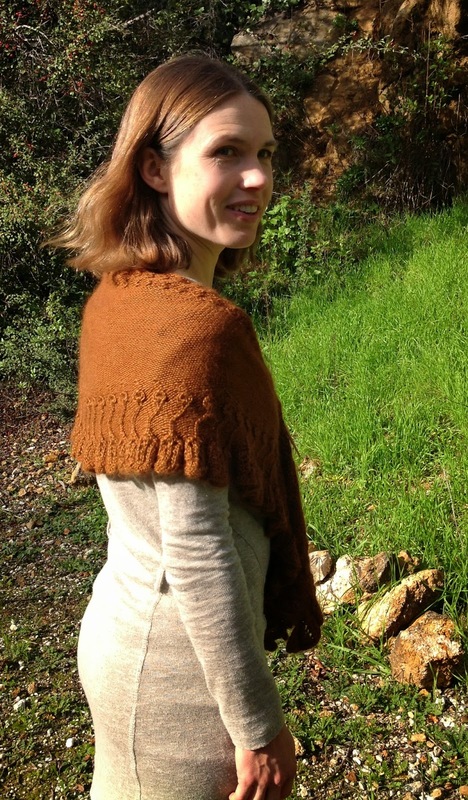 I’d like to introduce my friend Rebecca, who graciously agreed to model the Tierra Shawl for me. The Tierra Shawl is a bottom up shawl with a ruffled border followed by gently bending flower buds. 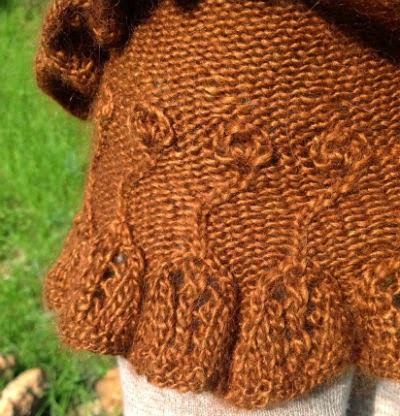 Short rows create the crescent shape and the top border is made up of smaller bobbles that echo the flowers. 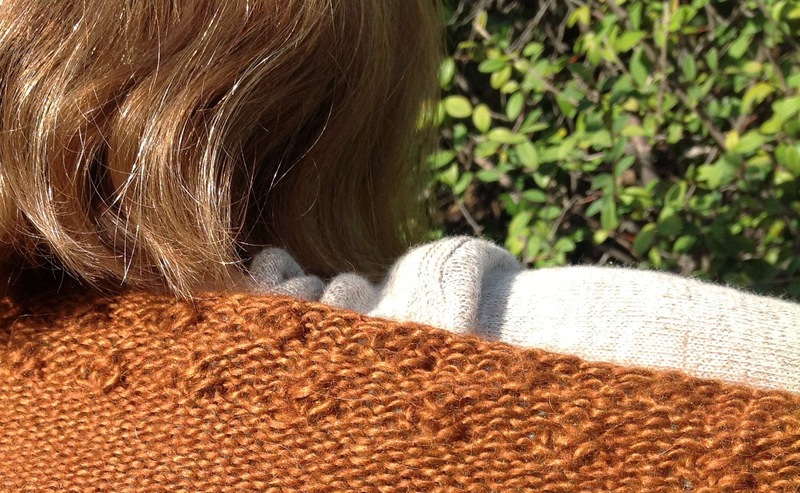 And you can buy it now on Ravelry!